The auto fender cover is a must in mechanics tool box! And now here’s a cover that is the mother of all covers! Sometimes referred to as a fender pad or cover gripper, the MICHINO Utility Fender Cover is of the highest quality. With this mechanics work mat, you’ll be the envy of all your friends. If you’re reading this, then we know that you spend hours and hours fine tuning and repairing you car. As part of you spending important time on your pride and joy, you probably want to make sure you’re protecting its beautiful paint work. Well, if this is the case, then this is the fender cover for you! You’ve tried other magnetic fender covers, just to find that they don’t work as they should. 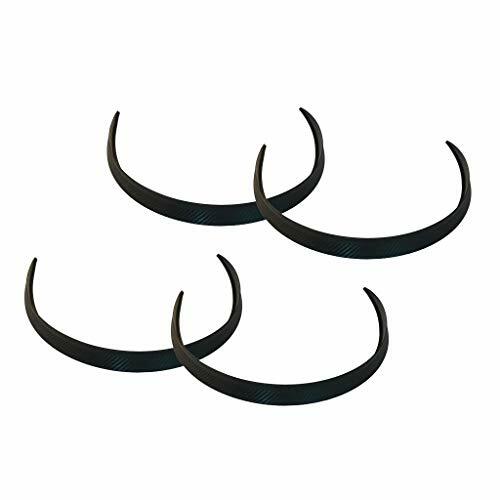 They fall apart and constantly slip or tear, providing hardly any of the protection you need. With MICHINO you can rest assured that you are getting maximum protection, as its made from tough 600D Nylon material. Now let’s take it up a notch! 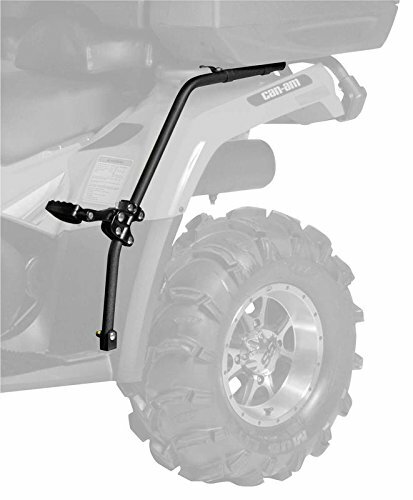 The MICHINO Utility fender cover has been uniquely engineered to provide you with protection and convenience. Not only does it have three super strong magnets (each rated at 33 pounds of holding power), it also has 7 utility pockets, strategically positioned to hold your valuable tools, whilst your working on your car. The benefit being you can be working on your engine or other parts of the car with your tools conveniently placed by your side. These pockets can also be used to hold various nuts, bolts, screws, spare parts or even your cell phone! It’s the ultimate companion! Why not get two and place them on each fender, giving you peace of mind that you’ll keep your car from being scratched. As it’s made from the toughest material, its tear resistant and will handle liquid or oils stains with no hassles. When you’re done lift it off the car and stick it to your tool box or metal bench, ready to go for next time!  PROTECT YOUR PRIDE AND JOY: So you’re the person that loves their car enough to protect it at all costs! You’re the one who buys the right automotive tools and auto accessories. Your mechanic tools are your best friends and using this utility fender cover will offer you protection from nasty scratches on your car. 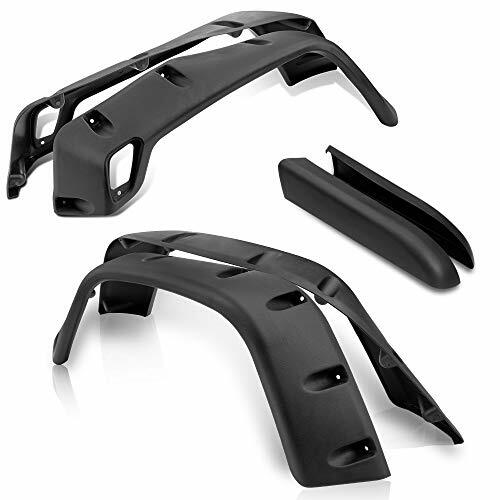 Made from the highest quality materials, this mechanics fender protector is tough and easy to use. Use it on your car, truck or even your boat.  CONVENIENCE AND PROTECTION ALL IN ONE: Ever felt frustrated when working on your car and your tools are out of reach? 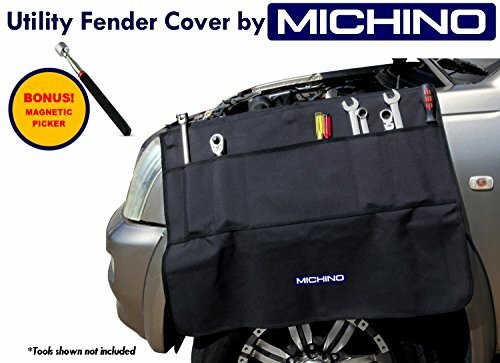 The MICHINO utility fender protector is a new type of mechanic work mat. This innovative design with utility pockets provides you with a way to hold your tools safely and within reach. No more back and forth from the car to the toolbox. Its the ultimate mechanics work mat! A fender protector that also hold your work tools? Now that’s smart!  PROFESSIONAL GRADE CONSTRUCTION WITH STRONG HOLD MAGNETS: Acting as an effective car paint cover, you’ve not seen a fender cover gripper like this one! It’s professional grade construction means you’ll feel confident when you work. With high strength magnets, it’s ability to hold up to 33lb (15kg) of distributed weight, assures you that your tools are always ready to go. Different sized pockets provide a way to make your tools easy to reach at all times.